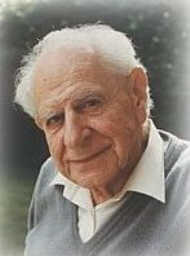 Sir Karl Popper (1902-1994) was a Professor of Logic and Scientific Method at the London School of Economics for 23 years, and was widely considered the doyen of the scientific approach to knowledge. 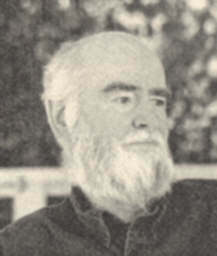 He was also an impassioned defender of the "open society," and is well known for having stated that while Plato was one of our greatest philosophers, his work The Republic represents an authoritarian social structure that would be the very opposite of a free society, a view to which Bertrand Russell gave his full support. It should be noted, however, that two thousand years ago all social structures were similarly monolithic, and that there are non-authoritarian ways of interpreting what Plato had written(1). Popper's philosophy allows for, and, indeed, calls for "passion or imagination or creative intuition"; and it condemns as "scientism" the notion that science gives us certain knowledge and might even be able one day to give us settled answers to all our legitimate questions. Where P1 is the initial problem, TS the trial solution proposed, EE the process of error elimination applied to the trial solution and P2 the resulting situation; it is essentially a feedback process. Thus, when a person enters into a new situation he immediately takes a measure of it and pastes a label on it, we pigeon hole it, — get its number, so to speak: almost anything will do at the first moment, but then we assess, then we adjust our opinion based on our assessment, and then reassess, and then change our opinion, and then reassess, readjust, reassess, and so on and so on; non-stop. Before we as individuals are even conscious of our existence we have been profoundly influenced for a considerable time (since before birth) by our relationship to other individuals who have complicated histories, and are members of a society which has an infinitely more complicated and longer history than they do (and are members of it at a particular time and place in that history); and by the time we are able to make conscious choices we are already making use of categories in a language which has reached a particular degree of development through the lives of countless generations of human beings before us. . . . We are social creatures to the inmost centre of our being. The notion that one can begin anything at all from scratch, free from the past, or unindebted to others, could not conceivably be more wrong. I know that most men, including those at ease with problems of the greatest complexity, can seldom accept even the simplest and most obvious truth if it be such as would require them to admit the falsity of conclusions which they delighted to explain to colleagues, which they have proudly taught to others, and which they have woven thread by thread into the fabric of their lives. 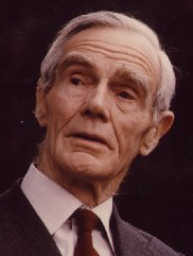 In his book Speaker's Meaning — four lectures given in 1965 at Brandies University, N.Y. — another Aristotelian thinker, Owen Barfield (1898-1997), "first and last of the inklings," fundamentally challenges the reality of a modern open society by outlining the existence, in academia especially, of what he termed the Great Tabu, a largely unconscious prohibition which is rarely ever mentioned or discussed, but which effectively prevents thinkers in any scientific discipline from taking seriously the proposition that thought itself is anything but "the product of a stimulated organism," i.e. an epiphenomenon arising accidentally out of the supposed evolutionary workings of a Mindless universe. In short, Barfield suggests that this Tabu irrationally prevents us from giving any credence whatsoever, for example, to J.W. von Goethe's (1749-1832), insightful proposition that "thought like light is universal" and that "thought is to the mind what light is to the eye," a proposition which a thousand years ago was the subject not of the Great Tabu, but of the Great Debate; the debate that went on for several hundred years between scholastic Nominalists (Aristotelians) and scholastic Realists (neo-Platonists), and which was never finally settled. To be sure, that great debate took place within the framework of religion, which was all that there was at that time, but should academic science, by suppressing this issue, now prove itself to be less open than religion once was? Because, as the atheist Sam Harris puts it: "It is the willingness of scientists to say 'I don't know'" — to really integrate doubt into their view of the world — that constitutes their privileged position with respect to truth." Yet on this crucial issue, if Barfield is correct, modern science and philosophy seem to fall very far short of that standard, and to a degree that is reprehensible. The effect of the Great Tabu described by Barfield, therefore, is to prevent a renewal of that Great Debate in its modern context, one taking the Realist as well as the Nominalist positions fully into account, and so it becomes a far greater foe of the open society than Plato's Republic ever was, greater because today within the context of science this crucial issue concerning the nature of thought itself cannot even be seriously discussed. Much of Barfield's thought, as he always stated, is owed to the influence of the great Goethe scholar Rudolf Steiner (1861-1925), who after first reading Kant's Critique of Pure Reason at the age of twelve, went on to make the nature of thought itself the subject of an intense critical enquiry, one based upon the often overlooked but undeniable fact, as succinctly put by Bo Dahlin, that: "Thinking can be explained by nothing other than itself, because it is always thinking that does the explaining." The youthful phase of Steiner's enquiry ended with the publication, in 1892, of his doctorial thesis Warheit und Wissenschaft (Truth and Science, also published as Truth and Knowledge) given at the University of Rostock, which bears the sub-title Vorspiel einer Philosophie der Freiheit (Introduction to a Philosophy of Freedom), which became the title of his chief contribution to modern philosophical thought, one still sadly neglected in academia (See http://www.philosophyoffreedom.com/). If Goethe, Steiner and Barfield are correct, and thought really is a universal process that works creatively on the spiritual 'inside' of nature (a possibility beginning to be suggested in quantum physics), then empiricism is not as Kant had claimed, the only source of knowledge — percepts which are then merely organized within our isolated brains through the unexplained existence of an a priori rationality. Rather all aspects of thought, including the laws of rationality, are as much a product of the given (i.e. the outside world) as are our sense perceptions. This suggests that the brain itself is not a generator of thought, as has been widely assumed, but an organ for the perception of the thought that already exists as nature's inner being, so that consciousness is not the accidental outcome of Mindless evolution, rather the brain with all its incredible complexity is an organ that was designed by thought for the purpose of thinking. This issue came unwittingly to the fore in a lecture that Popper gave in 1978 to Darwin College at Cambridge University, entitled "Natural Selection and the Emergence of Mind." Popper, who was then, as he made clear, influenced by Richard Dawkins' book The Selfish Gene, claimed that the human mind had emerged from Mindless nature solely as the result of the workings of natural selection. He closed his lecture with these words: "It is thus the entire range of phenomena connected with the evolution of life and of the mind, and also of the products of the human mind, that are illuminated by this great and inspiring idea that we owe to Darwin." However, in a critique of his lecture, later offered by Rosaria Egidi and entitled "Emergence, Reductionism, and Evolutionary Epistemology," the point is strongly made that emergence, as a possible natural process, just cannot be explained away by any simple adherence to the idea of natural selection, because it is far too complex an issue. For such thinkers humanity is an emergent property of (or inherent in) mammal DNA, which is an emergent property of reptile DNA, which naturally arise in turn from amphibian, fish, and ultimately protozoan DNA; the formation of DNA in general is an emergent property of complex protein molecules, and then of simple molecules and atoms, which inevitably arise in solar systems and are an emergent property of the cosmic conditions created by the Big Bang. Nothing in this incredible hypothetical sequence can be scientifically confirmed, and to be of any help to Darwin's theory all of these improbable emergent events would need to have happened without the aid of any kind of Intelligence. But even if, as some scientist are now disposed, one adds God to this explanation to make such events appear more credible, God could only be there at the very beginning (before the Big Bang) because otherwise Darwin's theory would immediately be made redundant. It would, therefore, be reasonable to ask why any source of divine intelligence would work in so circuitous a manner, when it could far more easily direct every step of the evolutionary process? Why would any source of divine Intelligence want to save Darwin's theory (i.e. scientific materialism) by limiting itself to working only prior to the big bang? Only science itself (as it now exists) would want to do that, "emergence" being a concept — one of several, "punctuated equilibrium" is another — that was introduced at a later stage in an attempt to save Darwinism from mounting contrary evidence. It is perhaps just another manifestation of the same kind of desperation that stands behind the existence of Barfield's Great Tabu, because as scientists too much is seen to be at stake, and we cannot be permitted to even think about the possibility that Darwinism is simply not true — i.e. on this issue no open society is even remotely tolerable. And the reason for this is not hard to find. Historically, it was Darwin's theory that served to emancipate science from religion, and given the continuing conflict concerning it, there exists among scientists a very real fear that this hard won emancipation could eventually be reversed, and in a way that could even bring miracles overtly back into science. But when all is said and done the idea of emergence is really only a sequence of miracles in disguise, and if the science of origins can only oppose religious dogma by erecting a materialistic dogma in its place, guarded by an irrational tabu, then something is very deeply wrong in both science and religion, and Immanuel Kant's deprecation of the role of thought is certainly a large part of this problem. As matters stand, neither religion nor science yet realise that if thought is the inner core of the world's reality, in the Goethean sense, then miracles need not exist, because it is just this conscious inner core that makes nature law-abiding. So many reputations also are at stake here, both past and present, that Popper's idea of an open society willing to continually investigate and rethink its assumptions, even if it applies to most other realms of scientific enquiry, is put here to its greatest test, and it has so far failed miserably. Let us, however, assume that such an open society really exists, and in the admirable spirit of Popper's EE look again, really critically, at the very essence of Darwin's theory and especially at the language in which it is couched. Teleology implies the existence at some level of a divine purpose in nature, a possibility which is theoretically ruled out in science, but which plays a powerful but as yet largely unrecognised role in lending credibility to Darwin's theory. Unrecognised because in the theory itself it is not divine but human purpose that is constantly but illegitimately at work, brought about by the wide range of intentional and volitional metaphors that Darwin constantly employed. To understand this let us analyse just one short passage. Given this passage as a starting point, let us here attempt a few hypothetical definitions, bearing in mind that any suggestion of human consciousness being at work must be avoided, because we did not create nature, and because the theory insists that only chance and matter were involved (scientific materialism). Selection — Mindless nature (consciously?) choosing what accidents to keep. Scrutinizing — Mindless nature keeping an (insensible?) eye open with a view to improvements. Improvement — Mindless nature (consciously?) deciding what accident is best. Adding up — Mindless nature (consciously?) being mathematical. Rejecting — Mindless nature (consciously?) deciding that it did not want to keep a particular accident. Working — Mindless nature doing a good (but totally impossible) job. Mechanism — a word that, as a dictionary-sanctioned definition of materialism, falsely attributes purpose to Mindless nature (2). Designer-less design — a supposedly purposeless process going on constantly in Mindless nature, leading to the creation of purposeless organisms built out of purposeless parts, and all (functioning?) to no purpose (a purposeless organism is a logical impossibility, as is a purposeless machine, because the success and failure of any design can only occur in relation to its purpose). Survival — a purpose that no aspect of Mindless nature can possess. Survival of the fittest — a meaningless tautology (natural selection in operation). When we bear in mind that every scientific experiment depends upon interpretation, and that where evolution is concerned the results obtained can just as easily (if not more easily) be explained as signifying the workings of an indwelling consciousness (spiritual archetype) in nature, rather than as just a materialistic accident, then one must also face up to the fact that in reality the Darwinian theory consists only of words (not of experimental results) and that its credibility depends entirely on the way in which those words are being used. So that contrary to widespread belief it does not enjoy any support whatever from empirical evidence, because the meaning of observations and of experimentation depend without exception upon the manner in which they are interpreted. This applies as much to Darwin's finches as it does to any other empirical evidence. As I have often stated in other essays, the problem here revolves around Darwin's seemingly careless use of intentional and volitional language in presenting his theory. Words like selection, design, mechanism and countless others, have the anthropomorphic effect of replacing the divine creativity that science wants to get rid of, with human creativity. In fact he is elsewhere very explicit in stating that he was doing just this — when he offers the "artificial selection" practised by livestock breeders as a direct analogy to what natural selection is supposedly able to accomplish, this overtly conscious meaning of the word selection leaves others free to claim that it introduces "a highly non-random effect" on the development of any species. Certainly it is the hallmark of consciousness, whether human or divine, to create a non-random effect, but in a purportedly Mindless theory the agency of human creativity does not belong. It would also be a mistake to overlook the fact that the undoubted continued hostility between science and religion in no small part is exacerbated by the sleight-of-hand whereby a materialist philosophy is illicitly imported to bolster a particular world-view of science. It remains an astonishing piece of window dressing: meaning is smuggled into a world which by definition lacks meaning. If Popper's open approach to knowledge were a reality, then there could be no Great Tabu in academia, and the possibility that nature possess a spiritual inside which we experience directly in our thinking could never be ignored or made light of, because there is more than enough evidence to suggest that this is in fact the case, but which the tabu requires us to studiously overlook. Before such evidence can begin to be taken seriously, however, Darwinism must be finally be recognised for what it is, a theory made credible only by the misuse of creative language, and in a manner that deceived everyone, including Darwin himself. Anyone who doubts this has lost sight completely of the way in which language can unconsciously manipulate the mind, and once the mind is convinced then everything possible must be done to make it seem credible in nature herself, so that in Darwinism, as Richard Lewontin forcefully states, "…we are forced by our a priori adherence to material causes to create an apparatus of investigation and a set of concepts that produce mental explanations, no matter how counterintuitive…. Moreover, that materialism is absolute, for we cannot allow a divine foot in the door." To decide beforehand, as science appears here to have done, that the only acceptable theory of origins must be materialistic is hardly an attitude worthy of science, and certainly out of place in a science that is seeking to help create an open society. As mentioned earlier, Darwin's theory may have had some historical justification as a means to emancipate science from religion, but that task is now accomplished, and where the immense living complexity of nature is concerned Darwinism, apart from its unconsciously self-inflicted irrationality, has demonstrably little or no explanatory value. Because, as Owen Barfield has made clear in his many works, evolution is not a property possessed by any combination merely of matter and chance, but only by consciousness, both human and divine. By depriving us of the creator God, Darwinism has also deprived us of the traditional authoritarian sources of morality, so that where moral issues are concerned we are thrown forward, as it were, onto our own human resources, and onto the need for the individual to develop the moral imagination as a vehicle for human freedom(3), but this only makes sense in a universe that itself values human freedom, which the Darwinian materialistic universe does not. What alternative to Darwinism do we then have? There is a growing recognition that the object of our knowledge itself is changing and is not immutably fixed. Indeed, this is the significant fruit of 20th century philosophy. I submit that R.G. Collingwood's The Idea of History is part of a consensus that includes our most important thinkers, running from Whitehead to Heidegger, and including artists and scientists as well as philosophers. And if we grant that there is an intrinsic connection between our inside and the outside of things, and if it is clear to us that we are changing (even insofar as our knowledge is changing), then it is at least logically clear that the outside of things must be changing for that reason. It seems to me Owen Barfield taught us this more than once, but it is hard to grasp, hard as we try." And we must try, for this is the developmental challenge that now confronts us. McLure's comment is also very much in keeping with the spirit of Magee's assertion (paragraph three on page one of this essay), and, therefore, with the spirit underlying Popper's reasoning also. A treatment of the essence of Barfield's profound thought on this vital question can be found in the essay "Barfield, Darwin & Galileo." Religion is traditionally resistant to change, and certainly not all change is for the better, but any assessment of an open society or of the influence of the Great Tabu on modern thought would be incomplete if it were not to take religion into account. Immanuel Kant was religious, and he is well known for having claimed "I had to limit knowledge in order to leave room for faith." And to the extent that religion sees itself as being primarily concerned with faith and with the preservation of dogma, it will tend to fearfully exclude any possibility of spiritual knowledge becoming a reality for the individual person (i.e. that science can enter the realm of spirit), and It will much prefer its dualistic confrontational relationship with science (on grounds of their opposing causal logics) because on the surface at least it has the entire realm of belief in authority all to itself. Whereas, if science were to venture into the spiritual domain also, as the result of a critical re-assessment of human cognition along the lines proposed by Goethe, Steiner and Barfield, then religion will feel itself threatened just as science does by that reassessment. Both science and religion, therefore, are prone to support the retention of the great tabu out of a fear of the future, and so to desperately oppose the development of a truly open society. This fear on the part of religious orthodoxy, of where a knowledge of the spirit might lead, stood behind the historic suppression of early Christian Gnosis (see the works of Elaine Pagels), and it is still very much present in the current science/religion debate, leading to further logically unsatisfactory (dualistic) theoretical attempts at solving the knowledge problem. Unlike Kant, Goethe was not a dualist but a monist in the scholastic Realist tradition. However, he was not a theoretician ("My child, I have been very clever, I have never thought about thinking.") and it was only later in the works of Rudolf Steiner that his monism becomes theoretically explicit (5). This traditional and now deeply ingrained fear of spiritual knowledge among religious thinkers could well have been an underlying factor in C.S.Lewis's now celebrated Great War with his friend Owen Barfield. Barfield (an Aristotelian defending Plato, and a Goetheanist) debated this issue long and hard with Lewis(6) (a Platonist defending Aristotle, and a Kantian). Lewis once humorously said of Barfield "he has read all of the right books, and got the wrong thing out of every one of them," however, he later showed his greatness of spirit by adding "he changed me more than I changed him." Change is here the appropriate metaphor. Science must change to overcome Darwinism, and with it materialism, and religion must change to overcome dogma. And surely an open renewal of the great scholastic debate, in science, religion and philosophy, bringing all of the resources of the modern mind to bear upon it, will provide the key to both of these much needed developments, and in a manner that would have gratified both Karl Popper and Owen Barfield. Footnote 1. See article "Wisdom, Might &Right" by Don Cruse, to be published later. Footnote 2. See article "Hard Wired" by Don Cruse, to be published later. Footnote 5. See Steiner's The Theory of Knowledge Implicit in Goethe's World Conception.